The Coal Miner's Daughter singer was set to hit the stage in Iowa on 7 and 21 July (17), for her first shows after suffering a stroke in May (17). However, the performances have now been axed for an undisclosed reason. "Due to circumstances beyond our control, the Loretta Lynn date scheduled for July in Dubuque has been canceled," a message on Facebook posted by representatives from one of the venues reads. Lynn is still scheduled to return to public life at the Tennessee Motorcycle and Music Revival in September (17). Earlier this week (ends23Jun17), it was announced she will open her ranch for the four-day festival, which will culminate with Lynn and others performing onstage on 1 October (17). Proceeds from the inaugural event will benefit Mission 22, an organisation that provides treatment programmes for those suffering from Post Traumatic Stress Disorder. "The goal of this event is to feature music representative of the incredible musicians, songwriters and performers of the area and to fulfill what many motorcycle enthusiasts have been asking for - a destination event in a unique location that celebrates the rhythm of a great road trip," Loretta's granddaughter Tayla Lynn explains. "While motorcyclists know what it takes to have a good ride, adding a great destination can make for the perfect trip. Ride the rolling hills of Tennessee, visit the area's unique attractions, and come back to Loretta's Ranch for fun and great music with fellow riders." 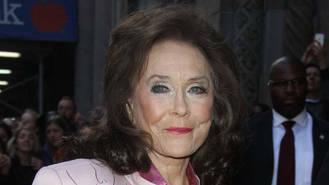 Loretta is reportedly still recovering at a rehabilitation centre following her medical emergency on 5 May.